So, you’ve decided to open a boutique of your own? 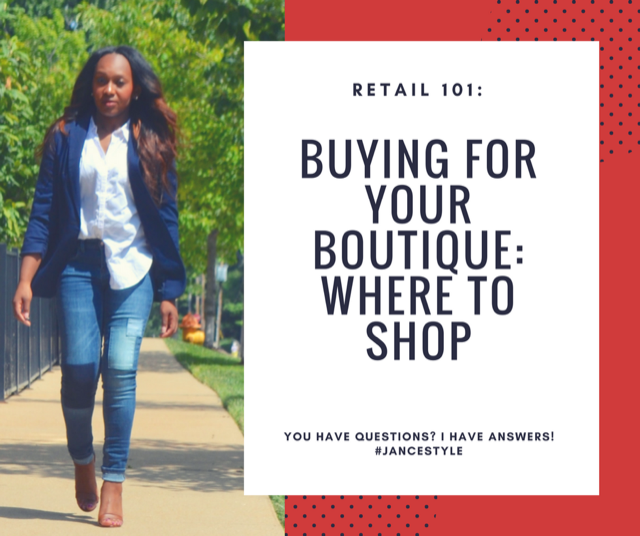 You’ve picked a name, but you don’t know where to get clothing for a boutique. Well, today I’m going to tell you exactly where to look. There are three choices that I would recommend to new boutique owners to choose from when buying merchandise for their boutique. Tons of fashion trade shows take place throughout the year in various cities. There are shows hosted in Chicago, Atlanta, Dallas, New York and, the largest,Vegas, to name a few. If you’re trying to find out where to buy clothing for a boutique then this is the place to be. Warning: It can be super overwhelming, but very imformative. I recently attended my very first fashion trade show in Las Vegas. 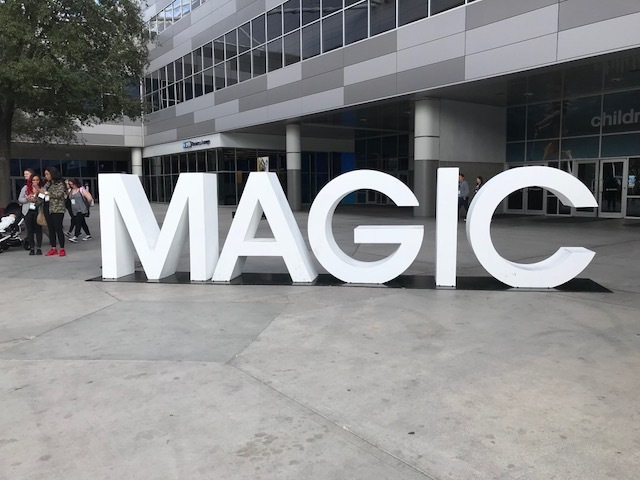 This particular trade show is called Magic. It happens twice a year; once in February and once in August. Here you can find the most extensive collection of wholesale vendors all in the same place at the same time. My favorite part about attending this trade show, however, was not the shopping, but actually the seminars that I attended while there. 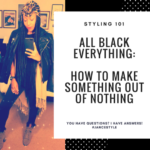 They were all super insightful and could be extremely valuable to a new or future boutique owner. 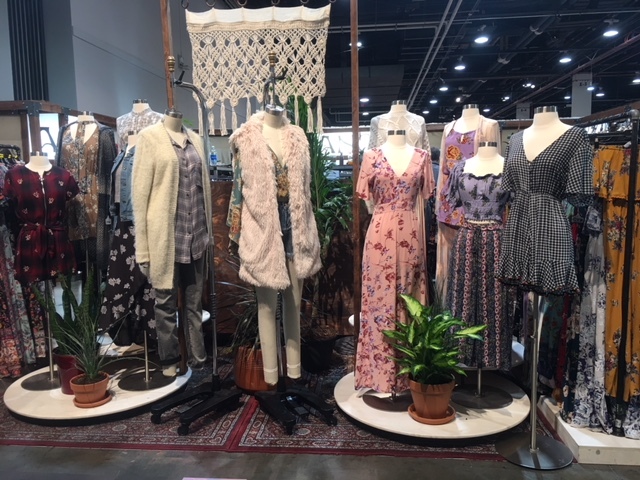 One of the coolest things about attending a trade show is not only getting to see and feel the merchandise, but also getting to see future collections to come for the upcoming season. One of the vendors actually told me that they tend to sell their merchandise a little cheaper at Magic, so essentially they offer the best deals at this particular trade show. I’m not sure if that’s the case at every trade show though. 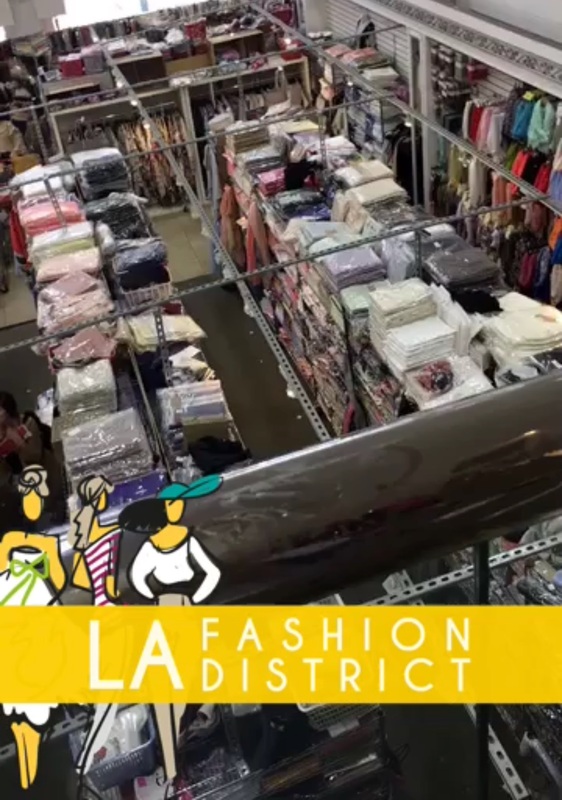 My first in-person buying experiences actually took place in the L.A. fashion district; San Pedro. This is much less overwhelming than attending a trade show like Magic. It is literally a section of streets lined with various storefronts of wholesale vendors. Shopping the fashion district is 100 times more chill than attending a fashion trade show. It isn’t as crowded. I’ve actually found that shopping during the week isn’t crowded at all. This allows much more time to connect with the owners/vendors, talk to them about their products, ask questions and plan what you’re going to buy. The fashion district can be difficult to navigate at first. However, it’s truly a walk in the park compared to shopping at a trade show. If you are 100% ready to start buying for your boutique and you can afford to take a trip to L.A. I would definitely recommend that you do this first. I would not recommend purchasing clothing for a boutique online if it is your first time buying. FashionGo can definitely be a huge resource to boutique owners. My first buying experiences actually took place on FashionGo.net. I would definitely recommend this website to an established buyer who is familiar with particular brands and knows exactly what they are looking for or even a new buyer who is trying to get familiar with what’s out there. FashionGo is a wholesale online shopping mall. Basically it is a website that hosts a ton of wholesale vendors. It is a great place to buy clothing for a boutique. The site gives you various ways to search for merchandise. You can search by specific categories using their header menu. You can search specific vendors by typing its name into the search bar. Or, you can even type in a particular type of item, such as “leather mini skirt” for example, and it will show every single item within the site’s data base that might match that description. You can narrow your search down by price range just like any other online shopping site. You can view the items priced from lowest to highest, or newest to oldest; whatever you would like. The site is very easy to navigate. The trickiest part about buying clothing for a boutique online, though, is not knowing what you’re going to get. It is very easy to view a photo of a model wearing one item, but you might receive a totally different item in the mail. Or it may look like a certain material or fit online, but in person it is totally different. Trust me. I’ve experienced it! This is why I personally recommend shopping as many vendors as you can in-person first, and then ordering from them online in the future once you have familiarized yourself with the quality of their merchandise. Another great thing about Magic is that you don’t exactly have to pay for your merchandise upfront. With most vendors, you essentially place a pre-order and then they contact you for payment info when the items are ready to be shipped out. Also, it seems to be a little less official shopping at Magic. One vendor told me that they would typically ask to see a business license or something to prove our business’ legitimacy however, they just assume that if you’re attending a trade show then you must be legit. I’m not saying this to say that you don’t need a business license; you definitely do. But, what I’m saying is don’t discourage yourself from attending a trade show because you don’t feel legit enough to be there. You should go just for the experience even if you aren’t ready to buy. Something to note about FashionGo is that you MUST upload valid documents to prove the legitimacy of your business before your account will be approved. It is absolutely necessary. Also, unlike most online shopping sites, you cannot shop on this website as a “guest.” You MUST make an account. Well, ladies (and gents), that’s all I have this time around. If you want more in depth information about any of these shopping and purchasing options please let me know! I’d be more than happy to share more blog posts and/or videos about this topic. Be on the lookout for more retail and boutique-related posts including one where I’ll share some of my favorite vendors to buy from! Click here to download my list of 25 wholesale clothing vendors! By Jance03In Boutique TipsTagged buying wholesale clothing, fashiongo.net, how to use fashiongo, magic las vegas, should i buy wholesale clothing online, should i go to magic, sourcing at magic, what it's like at magic las vegas, where to buy clothing for a boutique, where to buy wholesale clothing, where to buy wholesale clothing online, where to get clothing for a boutique, wwdmagic8 Comments on Clothing for a Boutique: Where to Buy? Hey girl! Shoot me an email. I’d be happy to help however I can. Hello Jance, I’m thinking about starting up a small local clothing business, I’d like to know how you started with the seller’s licence and all of that. Hey there! What state do you live in? Most states have different requirements for obtaining a license. Hey Jance, love your attitude and personality about your business. I would like to know about starting up and what I should do. I am planning on being online and having a storefront. Could please give me some helpful guidelines and tips. Hi Paige! What’s your email address? What type of information do you need? Thanks so much for the information, you are God sent, where do I buy labels for my clothing line at good price.